'The mirror, above all - the mirror is our teacher', wrote Leonardo da Vinci. Portraits are an endless source of fascination, responding as they do to the basic human impulse to scrutinize a face and strive to peer into the person behind it. Self-portraits have the added fascination that comes from looking into the mirror and trying to study one's own face and the elusive self lurking behind its surface. 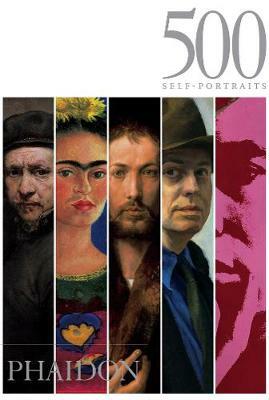 This striking and sensitive compilation presents an uninterrupted sequence of 500 self-portraits, in chronological order, all the way from ancient Egypt to the late twentieth century and including painting, drawing, sculpture and photography. The challenge of interpreting and re-creating their own likenesses has proven irresistible to artists throughout the ages. Included here are powerfully evocative works by many of the world's greatest painters and sculptors, from Durer and Rembrandt to Frida Kahlo and Andy Warhol. Each image is both a work of art and a rigorous exploration in psychology and self-perception. Presented without commentary, these works speak for themselves: a compelling collection for every student of art and human nature. The illuminating introduction is by the renowned painter and writer Julian Bell.